Whether you are in USA, UK, Canada, or any part of the world, now you can enjoy a well-written, neat, and error-free blogging using numerous blogging apps available on iPhone or iPad devices. Let us have a quick look at few of them. It is a superb blogging application, which is not free but costs only $10 to users and that is quiet affordable. It supports platforms i.e. WordPress, Blogger, ExpressionEngine, TypePad, and lots more. Normally, it is known as a home based blogging application, which is perfectly designed especially for SEO experts and daily blog writers. BlogTouch Pro is a powerful Blogger/Blogspot editor for Apple products. It can be downloaded for just $4.99 from iTunes/iStore. 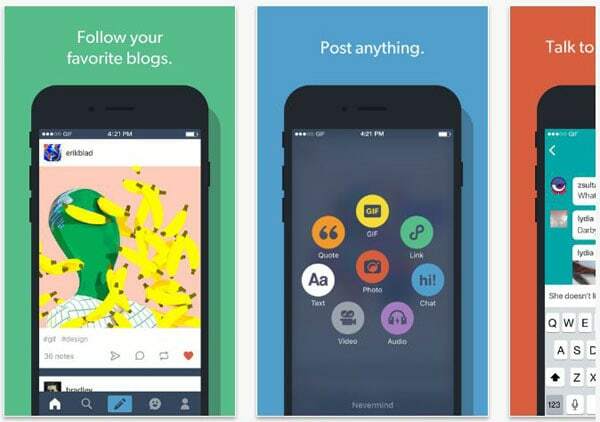 This blogging app can be used on iPhone, iPad, iPod and Mac! Blog Touch devices. It makes blogging easier for you by helping you manage multiple blogs – publish, edit and delete comments, post and pages. BlogTouchPro enables you to blog directly from your phone when on the go. Have you ever come across something you must share with others – now!! 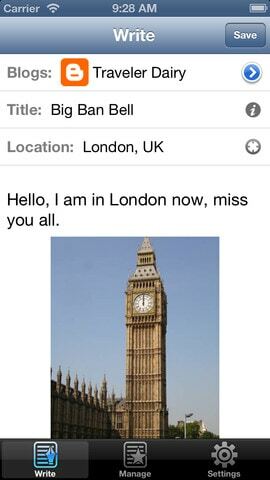 Well, you can do it with BlogTouchPro – just start typing wherever you are. On foot, in a train or even in your home – fire up BlogTouchPro and get it down and online in almost no time at all! Text, pictures or just your thoughts! It is easy to use the app and offers bloggers almost everything they need. They can upload files, videos, images, anchor texts, hyperlinks, etc. using this app. Besides this, many other features are also provided to the users by this superb application. It is available in both iPad and iPhone devices. The platforms BlogPress supports include Blogger, MSN Live Space, WordPress, and much more. It is paid for bloggers and costs $3 only. Weebly is a well-known simple website creation tool. You can download the app free from iStore. Weebly mobile enables to you blog log and edit your blogs directly from your iPhone or iPad. You can use photos you have just taken on your iPhone and immediately publish them on your blog. It allows almost instantaneous publication of anything you have on your iPhone or iPad. The only issue is that, like any other free application, it can fold at any time. You will also have the Weebly advert on your site. If you want to pay for no Weebly ads, more storage and functionality, fees for begin at $14/month – or $96 for one year in advance. It is a completely free application designed for iPhone users where bloggers can email a single post along with complete data, pictures, text, images, and all attachments. The best part is that via using this amazing tool, the blogger can post his blog on different social media sites including Facebook, Twitter, etc. in one go. Bloggers can have this application on their iPhone to post blog posts, share images, communicate, share a quote, or post anything funny they wish to. Moreover, bloggers can also view shared stuff, which is a great convenience for them. Suitable for iPhone, iPad and iPod Touch with iOS 9.0 and above, the Blogo blog editor gives you all the tools you need to create amazing blogs. The Pro version works with WordPress and other blogging software. You can list, edit and update existing or new posts, pages or drafts. Plus a lot more. The Pro version allows you work with multiple blogs simultaneously. The Free version is packed full of features, but if you want more then the Pro version costs $2.99/month. WordPress is the most amazing and interesting application provided by iPhone. WordPress bloggers can have all features, which they normally acquire from desktop or laptop devices while blogging. They can post, edit, create, delete, manage, anchor, share, and tag their own blog posts with best alignment features. The best part is that the bloggers can enjoy a complete access of their data through this application and most surprisingly, this WordPress application supports WordPress platform as well. This is a free application available to both iPad and iPhone users. 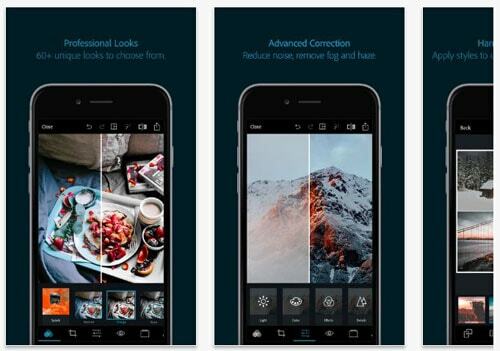 Fast photo editing, manipulation, cropping, or image correction can be done using this superb Adobe Photoshop Express application. It widely supports all blogging platforms and is the application of choice. 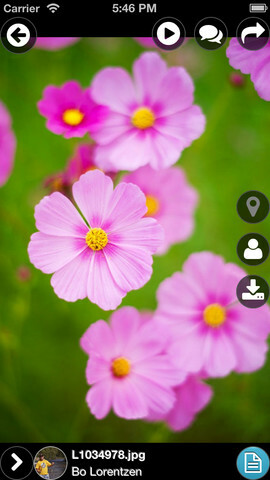 You can manage all your photos, images, and personal visual data through this application. 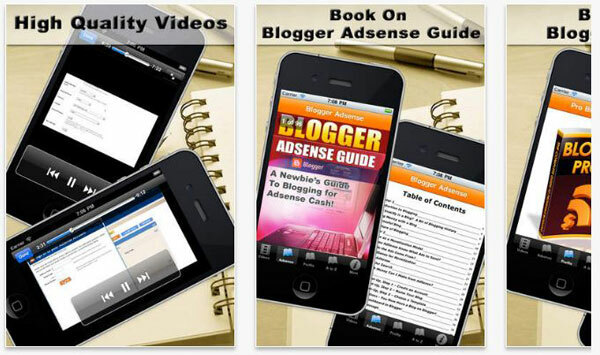 It costs only $2 to both iPhone and iPad users and supports almost all blogging platforms as well. Hence, one must have a Picasa account for better results. To sum up; numerous blogging apps exist, which are being used by various bloggers. Now, blogging is included in Microsoft’s collaboration product, SharePoint, and recent versions work great with mobile devices. 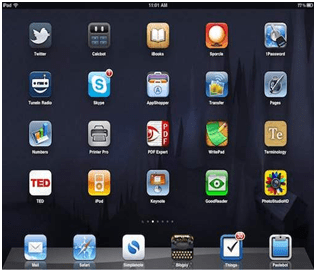 The above-mentioned applications are those ones, which are primarily used nowadays by the most expert and experienced bloggers on their personal iPad or iPhone devices. Last but not the least; the choice is always yours but one must go through the latest trends in the market. Especially with reference to SEO or content writing, one needs to take better care regarding the use of such applications. Really helpful for iPhone users and who manages their blog through mobiles. Good collection of apps mate. But I think you need to add social media apps also. If you don’t mind I adding few here are my fav. apps. These mobile app are making blogging more and more popular. One on travel can easily with help of these apps. Thanks for such a informative post. One on travel can easily with help of these apps. Thanks for such a informative post. Can you provide a specific application for WordPress that I can use on my iPad? The one that I’ve found is buggy (free apps). I love using the WordPress app. Feels like I’m blogging from my laptop. I have worked with WordPress and tumblr, it was good. Great apps to work on it. WordPress is the best app from your list. I am also using this app in my iPad for blogging. It’s a user friendly app and we can easily use and manage our blogs from this WordPress app. 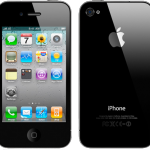 It’s a very helpful for iphone users who can easily manages their blog through mobiles. It is informative post for iphone users. Great to see all the useful blogging apps for iphone. And here I would like to tell you I was using Windows mobile, and using WordPress application its very easy to post any new update to my website or any user generated content review. I vote WordPress and 10/10. Thanks for listing some more. Good applications, after reading your blog, am getting some useful apps. Its very helpful for me..I want to download in android, is it available or not? Wow.!! This is the Wonderful Application you are sharing.. Thanks for sharing. I use iblogger and I can recommend it, I will have to also check blogsy, it looks really cool. Most valuable post about apps for blogging. Thanks for providing such useful info. Excellent list of blogging apps for iOS users. I am using iBlogger and Tumblr. Thanks! Nice list.. But in my point of view Blogger and WordPress are the best apps for bloggers. Thanks for sharing these apps as I was looking for something like that. When I was looking for these apps I came across to an app that was very unique and touching. The app is about offering tribute to our loved ones who have passed. Check this out and let me know if someone like it. Perfect list. But I love to use WordPress and blogger ever. Thanks for sharing this great article. I found two new apps that I should also try – TypePad & Posterous. Thanks for sharing a GREAT list! I have been using WordPress from past 2 years and would rate it 10/10. Also, if you have a blog and you’re looking for a way to make the process easier and faster, then the VocalPost, and Bubbly- Share Your Voice, Voice Blogging Service app could do that for you. User-friendly apps that are now available on your Android and iPhone devices. By speaking you’ll be able to complete posts much faster than ever before; just tap the button to record your voice and share it with your folks. Great list. Please also suggest few ad blockers for iPhone, iPad and Mac. 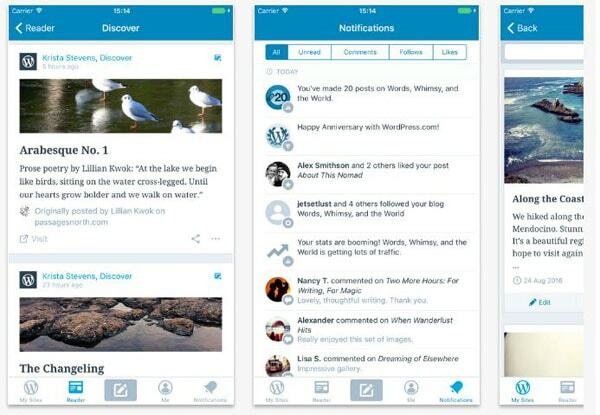 Great to see all blogging apps for iphone. And here I would like to tell you I was using iPhone , and using WordPress application its very easy to post any new update to my website or any user generated content review. I am interested in which Apps can handle Pages (in addition to posts). Blogsy can, Blogger cannot? What about the others? The information is correct and help in improving the traffic of the app vert fast. Great post! I am actually getting ready to across this information, it is very helpful my friend. Also great blog here with all of the valuable information you have. Keep up the good work, you are doing great. Some great app finds for iPad’s and iPhone’s, thanks for sharing! A lot of good ones to try. It’s amazing the diversity of apps that are continually being produced and truly are helping to simplify and assist in our lifestyles. I realize this article was written over a year ago and things change. But, it should be pointed out that Blogger is no longer available in the US App Store. Strangely, the App Store app tells me it is available in the Indian App Store, as if that’s going to help me. These 10 best apps are very much useful really, keep on updating these kinds of useful information. Pretty article! I found some useful information in your blog, it was awesome to read. Thanks for sharing this great content to my vision, keep sharing. Wow. That are really great apps. Now I can blog while traveling. Thanks you admin for the share. In 2017, Blogsy is no longer relevant for the iPad. The developer has not updated it. Great work with the list. Some of the best apps for iPad today. Thanks for the post. WordPress, Probably the most popular blogging site for the tech industry.